This Saturday morning at Temple Emanuel’s lay-led Ruach Shabbat family service we’ll be unveiling our new prayer book, Siddur Ruach Shabbat. The product of over a year of collaboration between the synagogue’s volunteers and professional staff, the book aims to be “just right” by capturing the spirituality of a traditional Shabbat morning service and making it accessible to all. It also features 40 full color illustrations by the children of Temple Emanuel. Only the prayers needed for a regular Shabbat morning service are included, so there is no getting lost flipping pages. 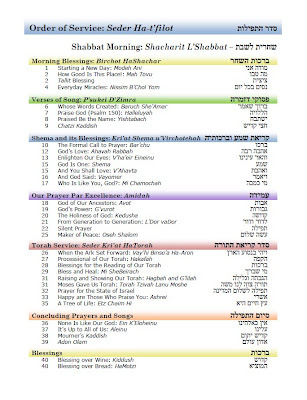 Every prayer begins on a new page with English, Hebrew, and transliterated titles. All prayers (except the silent Amidah) have transliterations. As editor-in-chief my goal was to share with my fellow TE families and the Jewish world what I found so meaningful about Shabbat morning prayer. The book was a truly collaborative effort, from the first draft produced by committee Vice Chair David Goldstone, to the extensive editorial work by committee Chair Pamela Weinfeld, to substantive input from Religious School Director Ilene Beckman, Hazzan Sheini Daniel Nesson, Rabbi Michelle Robinson, and others. It may have taken longer than we thought but the result was far better than expected. For now the only place to see the whole finished book is at Ruach Shabbat Family Services this Saturday at 10:45 a.m. in Temple Emanuel’s lower level activity room, and monthly thereafter. Please join us! For more information contact me at marcstober@gmail.com, Pam Weinfeld at drpamw@dermandskincare.com, or Wayne Goldstein at wgoldstein@templeemanuel.com.